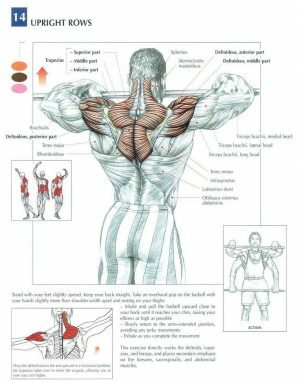 We’ve put together these list of 5 shoulder workout anatomy that you incorporate into your workout. 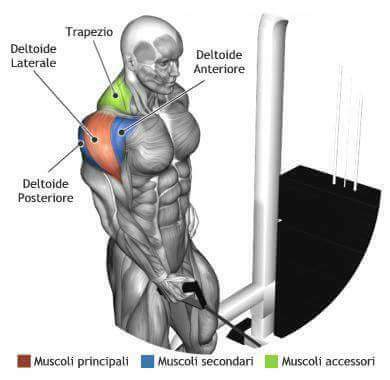 The detail graphic will indicate which muscle group is being worked the most during the exercise. 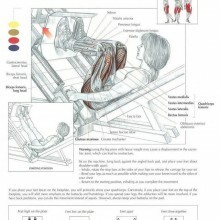 Lie on an incline bench with your chest and stomach press against the incline. Hold each dumbbells with the palms of your hands facing each other. Extend your arms in front of you so that you arms are perpencular to the bench. The legs hould be stationary while applying pressure with the balls of your feet. This will be your starting position. Now exhale and raise the weights away of each other and to the side while keeping a slight bend in your elbows. Try to squeeze your shoulder blades together to give the most effective in this exercise. Your arms should raise until their parallel to the floor. Once you reach the top contracted position, whole for a brief moment, then exhale and slowly lower the weights back down to the starting position. 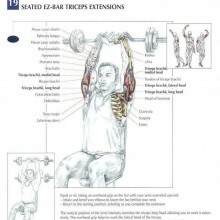 Exercise may be performed on shoulder press apparatus with rack or off of power rack with seat or without back support. While maintaining good posture raise the dumbbell over your head by extending the arm. Lower the barbbell behind your head until the barbbell is approximately 90 degree angle. This will be your starting position . Without jerking the weight raise the bar overhead by extending your arms. Pause and then return the weight to the starting position. To begin, position the pulley at the machine’s lowest level. Stand sideways in front of the machine and grab the cable with the hand farthest from the machine. Hold the handle close to your waist with your arm extended at your side and your elbow slightly bent. Place your other hand on your hip for stability. Keep your torso slightly bent forward with your back straight and your abs contracted. This is the starting position. Now, exhale as you use your lateral delt to raise the handle to shoulder level while keeping your elbow slightly bent. Tightly contract your lateral delt at the top of the movement. Hold the contraction for a moment, and then inhale as you slowly lower your arm back to the starting position. Be sure to keep your torso stationary throughout this exercise. After you finish your reps with that arm, switch sides and perform the same number of reps with the other arm. 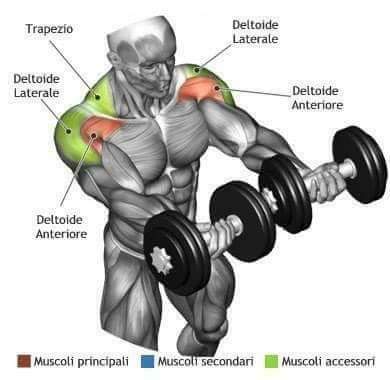 In standing position hold the pair of dumbbell at your side. Keeping your elbows slightly bend, raise the weight directly in front of you to shoulder height. Avoiding and swinging or cheating. 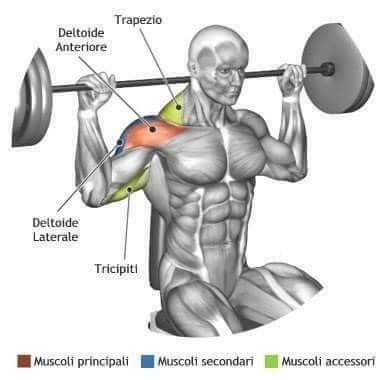 Sit down at the shoulder press machine. Grab the handles at your side and keep the elbows bent an inline with your torso. This will be your starting position. Exhale and lift the handle by fully extending your arms. Hold the top contracted position for a brief moment, then inhale slowly lower the handle back to the starting position.